Introducing the C.A.T. - Cryptocurrency Automatic Trader. This is a Java8 application with more then 5 years of continuous development. 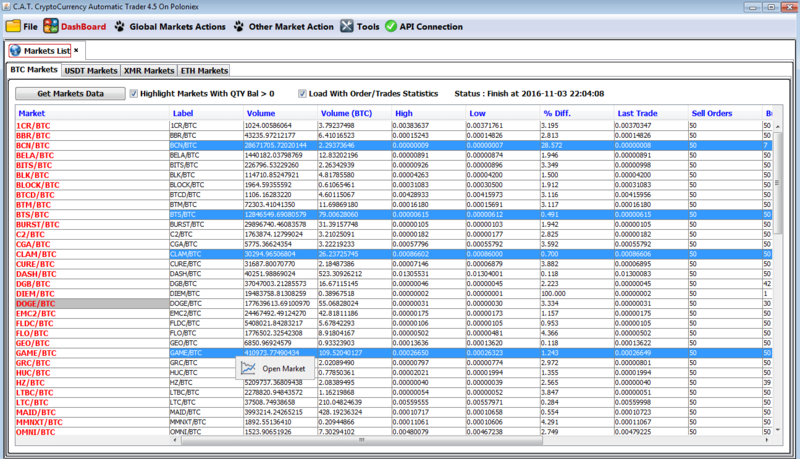 Unlike many other bot - this bot have a great GUI helping trader to control all the precise parameters and options for his strategy. No coding needed! C.A.T. is a Java8 desktop application that uses very little memory so it can be started on a cheap plan VPS of any OS type. The only requirement is Java8 official runtime. Also it is portable! Just grab your C.A.T. folder and run it anywhere else. It supports a bunch of crypto exchanges and this number grows. Among them: Binance,Poloniex, Bittrex, Kraken, HitBTC, BitStamp, Bitfinex, C-CEX, OKCoin, Vaultoro, TheRockTrading, YoBit, CEX.IO, Livecoin, TuxExchange, Stocks (STEX). 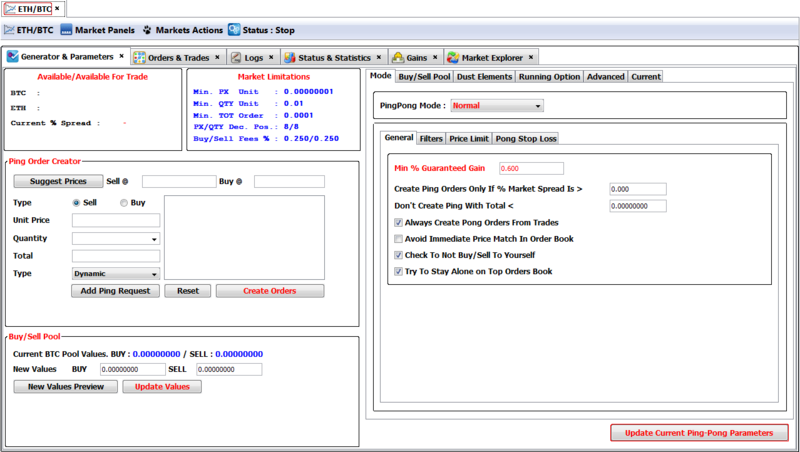 All markets and pairs are supported. The GUI is very flexible and it is done with tabs and menus. Fully Customisable behaviour: there are plenty of variables and features. 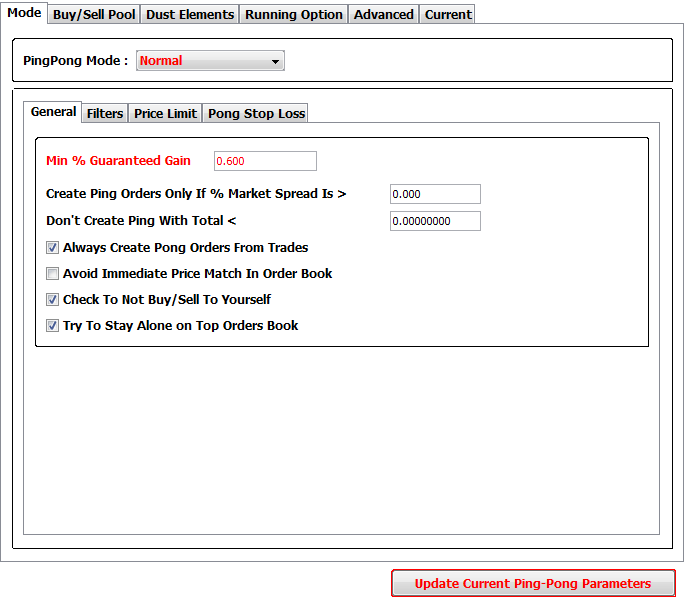 You can set support and resistance levels, order conditions, step orders. A variety of config variables and presets for bullish and bearish market conditions. Execute your strategy in few clicks. Fast-and-easy to deploy due to presets. The default firm strategy is "adaptive dynamic ping-pong cycle". 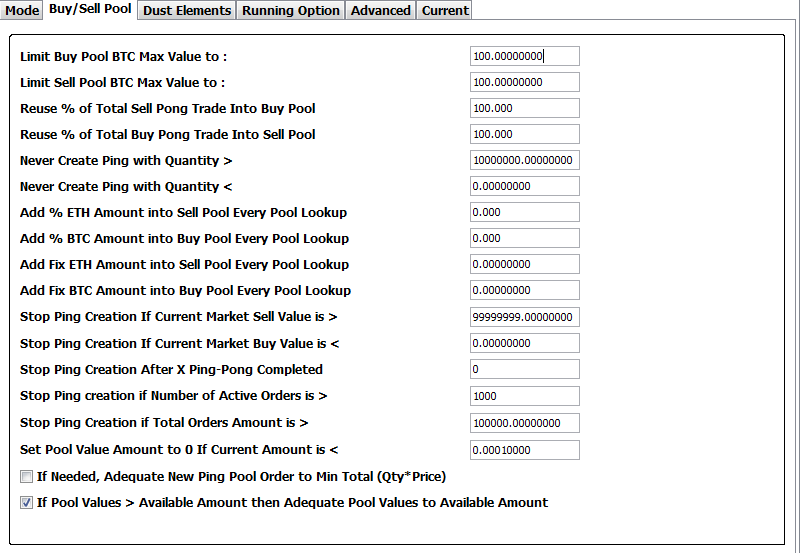 It adapts orders for new market price so you will always be on top of the order book. 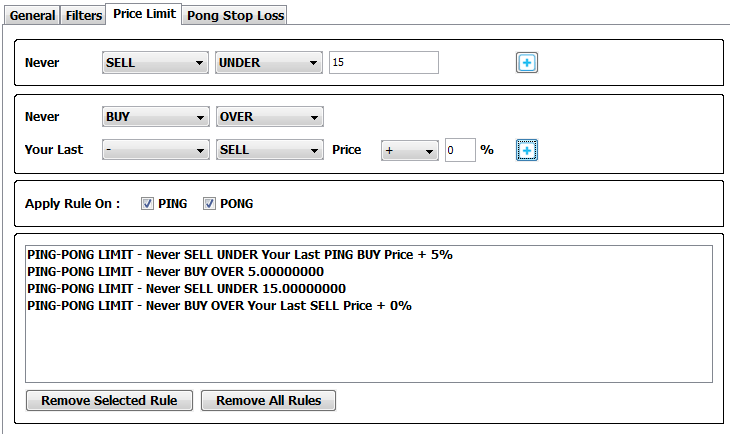 Even noobs :) can just leave it by default to get profit. Of course with such variety of available tuning an experienced trader can grow it`s own strategy and not only one, there is a presets system, enabling fast strategy switching. With the right choice and understanding of market you will drastically improve your profits in crypto trading. C.A.T also have log management. You will always know what`s happening with your trading strategy. All your settings and orders are being backed up so you can restore everything in case of OS system crash ot power failure. All these nifty features and trading algorithms are created with proprietary Java code. C.A.T. is being sold as a lifetime license - it means that all feature updates you will receive for free! 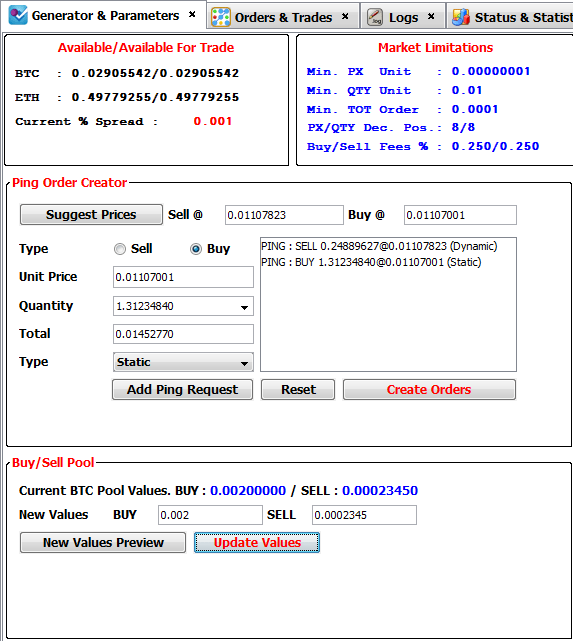 Your lifetime licence will be updated with new features and exchanges. No hidden fees. Developers support via email or forum thread is awesome and outstanding.